Lettuce is the second most used vegetables in the US. This is because of its tremendous health benefits. It’s a rich source of a variety of vitamins and antioxidants. This is the reason lettuce sometimes is referred to as the ‘The King’ among the leafy greens. There are unparalleled health benefits of Lettuce. It’s rich in Vitamin C, antioxidant, and also nutrients like Vitamin K and A. Its extraordinary nutritional values helps in fighting deadly diseases like cancer and diabetes. Let’s read one by one, the health benefits of lettuce. There is a type of protein ( like lipoxygenase) present in lettuce that helps in fighting inflammation. In various traditional medicines, lettuce is used to relieve from any kind of a pain in bones also called osteodynia and inflammation. Many studies have shown that Vitamin K present in vegetables can extraordinarily help in reducing inflammation. Including two cups of some leafy green on a regular basis can dramatically keep you at bay from many diseases. Other vegetables that are rich in Vitamin K are broccoli, cabbage, spinach, and kale. Lettuce is an ideal way of aiding to weight loss. The reason is the low calories content here arere’s just 5 calories in every serving. Also, the energy density of lettuce is quite low. The great content of fibre present in lettuce helps in feeling full. It’s best to take the darker varieties of lettuce because they have a high content of nutrient. Eating a mix variety would also work. Lettuce is extraordinarily helpful in weight loss. This is because the fat content in this leafy food is extremely low and it will make you feel full. Make a habit of taking a big leaf of Romaine leaf to everyday to your lunch. If you are not keeping a check on your diet and what kind of food you are taking in, it can cause neuronal cells of your brain to die resulting into deadly brain diseases like Alzheimer’s. According to numerous studies, lettuce is quite helpful in preventing the death of a neuronal cell. Many other studies have also come out with results that prove that lettuce have a high amount of dietary nitrate. These nitrates gets converted to nitric oxide when it goes inside the body and thereby becomes helpful in the promotion of endothelial function. Lettuce is helpful in stopping the reduction of endothelial function, which otherwise can be fatal and can cause many neurological disorders and cognitive decline. It has been found that Romaine lettuce has high folate content that helps in the conversion of homocysteine. If these homocysteine are not converted otherwise they can damage the blood vessels resulting in accumulation of plaque, which in turn can result into heart damage. Because of Vitamin A and C content of Lettuce, it is quite helpful in oxidizing cholesterol and thereby helping in enhancing the strength of arteries. In addition to that, these nutrients are also quite helpful in the prevention of heart attacks and in the improvement of blood flow. It is recommended to include two servings of Romaine lettuce into your diet. This will help by keeping your heart hale & healthy. In addition to all this, lettuce also contains potassium which is helpful in lowering blood pressure and preventing any kind of heart diseases at bay. Also, consuming lettuce can be helpful in increasing the amount of Good cholesterol in your body and decreasing the bad cholesterol. Many studies have found that regular consumption of lettuce can be helpful in reducing the risk of stomach cancer. Lettuce, which is included in non-starchy veggies is extremely helpful in providing protection against many types of cancers like esophagus, mouth, throat, and stomach. A study done on people suffering from lung cancer can get protection shield by consuming lettuce regularly. Green veggies including lettuce are particularly helpful in reducing the risk of type 2 diabetes. That’s really a good news, it it’s really true! This is because of the low glycemic index, which is attributed to regulation the risk of increasing the sugar level in your body. And, the fact that a cut of lettuce contains just 2 grams of carbs and 5 calories can add to its usefulness in fighting this disease. It’s therefore considered extremely diabetes friendly diet. And, Romaine lettuce are the best in that regards because they contain all the essential nutrients. 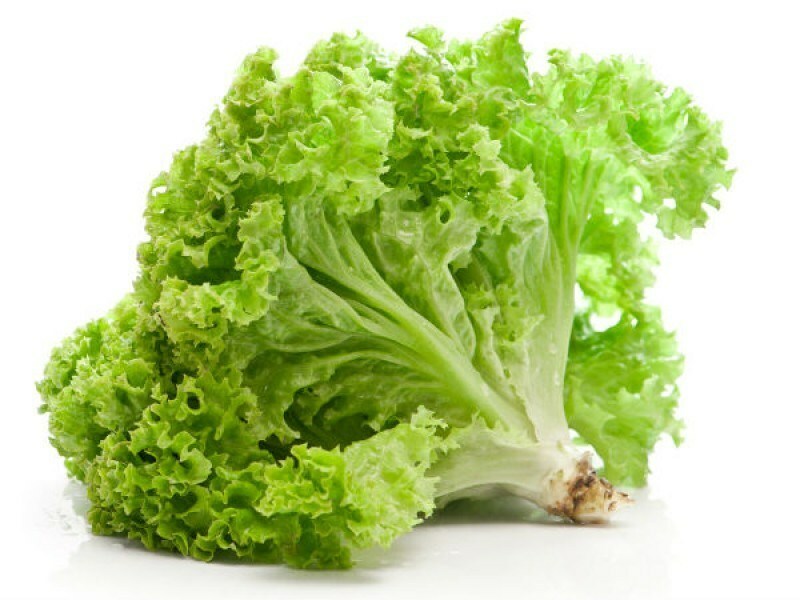 In addition to all this, the lactuca xanthine content of lettuce, that’s anti-diabetic carotenoid, it is extremely helpful in regulating the glucose level in the body. Lettuce is helpful in promoting great digestive health because of the presence of fiber. It’s helpful in warding off digestive ailments like bloating and constipation. Is also helpful in relieving from any kind of stomach pain. Lettuce can also be unexpectedly helpful in processing food of different types of food. Is also good for intestinal health. Lettuce contains a substance called lactucarium, which helps in promoting sleep by sedating the nervous system. It’s a great way to add lettuce to your dinner diet and it will be helpful in get a sound sleep. Another substance present in lettuce called lactucin helps by inducing sound sleep and keeps your body in the relaxing state. This has been used as a cure for insomnia from the medieval times. The Vitamin A, C, and K content of lettuce are quite helpful in the production of collagen further help in bone formation. And, since lettuce is rich in all of these three vitamins. While Vitamin K is helpful in building the connective tissues and cartilage, Vitamin A helps in the development of new bone cells. And, Vitamin C is extremely helpful in fighting bone depletion. This is just a sneak peek into the health benefits of lettuce. We can do many additions to this list. And, we would like once again emphasize that romaine lettuce is found to be the most nutritious of them.